The alarm went off at 6:00 am. There’s a men’s practice at 7:30 and the team staff (that’s me, our physician Jen Burke and our two team leaders John and Kathy) tries to arrive 45 minutes to an hour ahead to be there when the skaters arrive and start warming up. 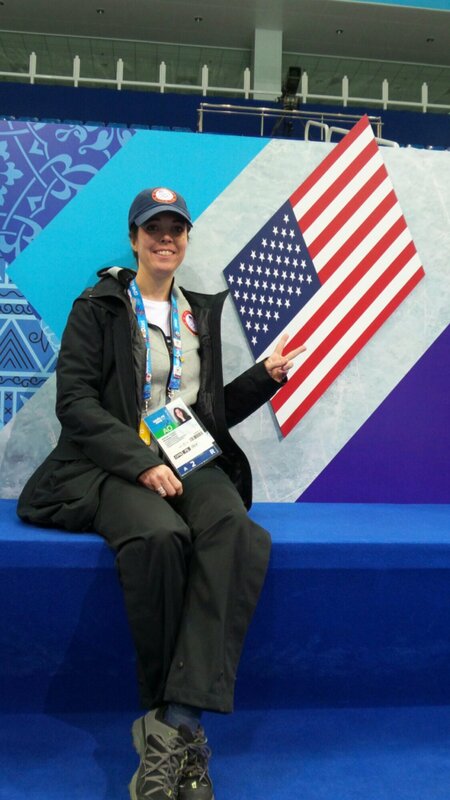 I went to bed at 1:00 am after a late night at the Team Event (now you know-we pulled up to third-woo hoo!). So it’s definitely a hat morning! 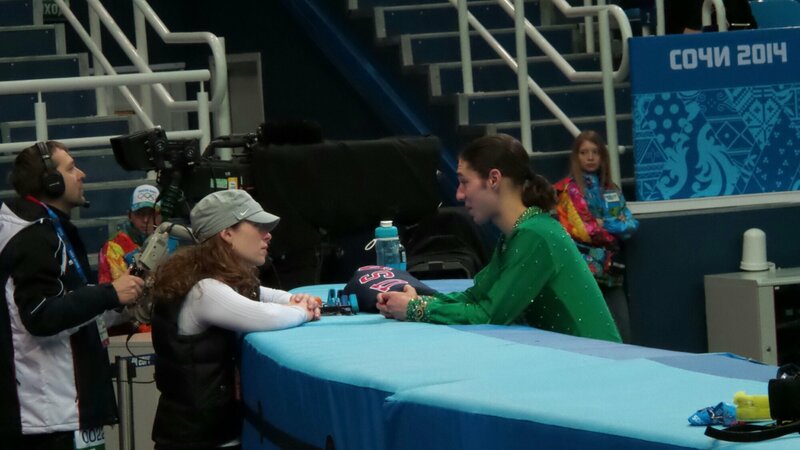 Kori Ade, Jason Brown’s coach is having a hat day too, but she’s dressing it up with a pair of David Y earrings! 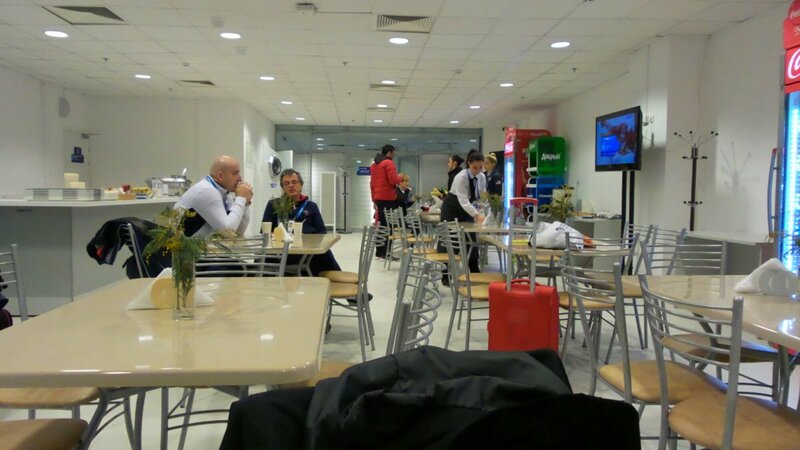 We’re sitting in the skater’s lounge having a quick breakfast-muessili, a banana and a cup of black tea. They only have instant coffee in the lounges at the rinks and it is awful! Now we’re out in the arena. 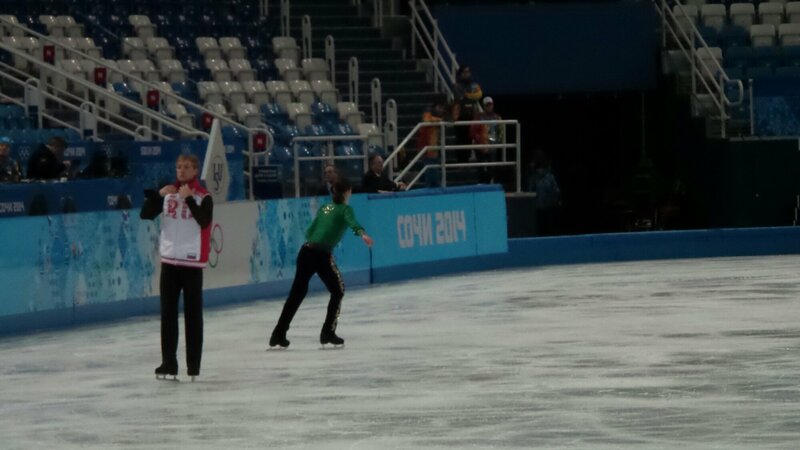 Jason Brown is on this practice session with Yvgeni Plushenko (Olympic Gold medalist and 2 time Silver medalist). Jason told me later that Plushenko came up to him in the skater lounge and told Jason that he “was amazing” and that he really liked his skating. Jason was on cloud 99! I love Jason’s River Dance program!!! 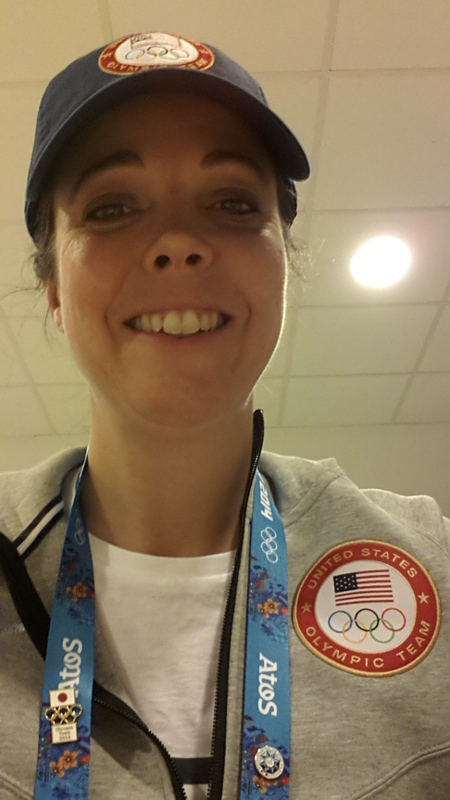 We’re sitting in the TEAM USA box to watch the practice- nice viewing spot! The men’s practice ended at 8:05 and then the ladies came on the ice for a practice session at 8:15. 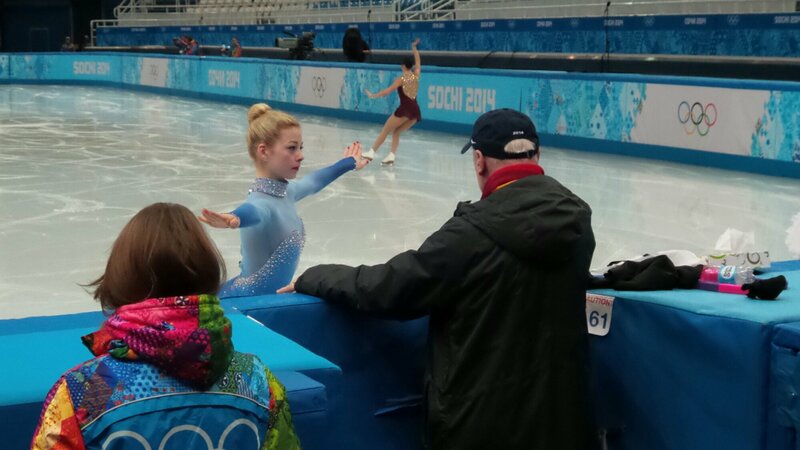 I thought the last photo is funny – looks like Frank Carroll is wearing a Gracie Gold hat! Half way throu the ladies practice I got a text message from one of our pairs skaters that she had taken a strange fall during her practice in the other rink and was having some ankle and knee pain. So I grabbed my bag and ran (ok, it was more of a very fast walk) over to the practice arena from the main arena next door. I did a treatment session with her ankle to get it moving better, did a little active release and nerve glides and then kinesiotaping to unload her anterior tibialis and patellar tendon…I’m sure that is all clear as mud to everyone! After I finished with her I left the practice arena and jumped on the shuttle bus outside (yea! I made it on this one-sometimes you come out the door and they are pulling away. Then you have to wait 10 minutes for another one or walk). I got off the bus at the dining hall and ran in to grab a cup of coffee and an oatmeal to go. Got back to the condo at 9:40 and worked on one of our ice dancers for 45 minutes, followed by one of our men and then another ice dancer. Then it was 12:15 and I finally had time to shower! 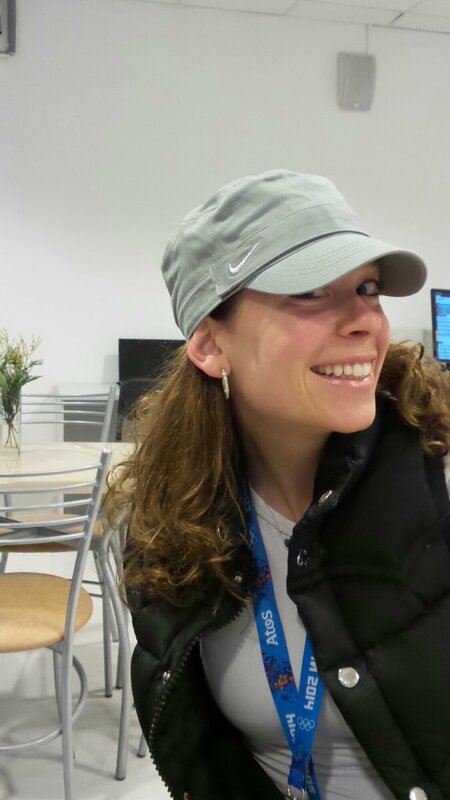 Then I walked over to the dining hall to get a late lunch. Ashley Wagner and Marissa Castelli joined me. Thank you so much for taking the time to share this. 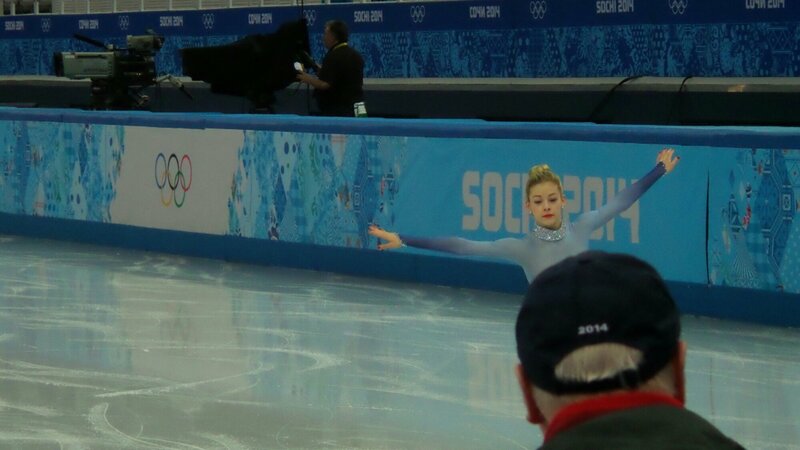 Please tell the skaters how proud we are of them. There were some good pictures on television during the men’s events and we could easily see you in the USA box on the left. We are enjoying watching the events and following your postings.